Aware of the possible risks, we go above and beyond to serve all commercial garage door repair Dallas needs quickly. Problems are never trivial when it comes to openers, springs, or cables at areas where there is a lot of people. 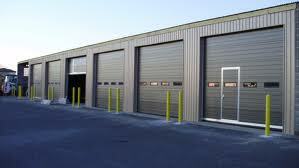 Although made to remain durable and perform continuously, commercial sectional or rolling doors still wear. At some point, they all need repairs and eventually they might need replacement. And each time you are in need of a commercial garage door service in the area of Dallas in Texas, we will be more than pleased to oblige. 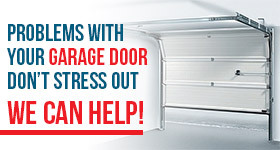 We have solutions to all problems due to our expertise in all types of commercial garage doors and brands. So, no matter what trouble makes your life difficult, bring it to us. You only need to make one sole phone call to our company and we will rush to send you a tech to fix the problem. Put your mind at rest with the knowledge that all techs dispatched from Citywide Garage Door Repair Dallas are experienced, well-equipped, and factory trained. The pros respond in a speedy manner whether there is need for commercial garage door springs repair, cables replacement, or opener troubleshooting. With their vans fully equipped, they can perform any service is requested and do so in an effective way regardless of the garage door size, type, and brand. From hoist and jackshaft to trolley operators, they can repair and inspect all types too. So if the garage door is acting up or won’t close, simply call us. Be sure that a tech won’t only come out at the double for the garage door opener repair but will do the service needed impeccably. We are here for all sorts of garage door repair and replacement services. Feel free to contact us whether you want opener installation, overhead door maintenance, or broken spring replacement. If you decide to replace the commercial door, let us be of assistance. If you are searching for a new rolling or sectional door for your new business, assign your project to our team. This way, you can be sure that you will have all the assistance you need and the commercial garage door installation will be performed with the utmost care and on time. Keep our number in case you need services and call us should you ever want same day commercial garage door repair in Dallas. We will help in no time.